Just Write About It. 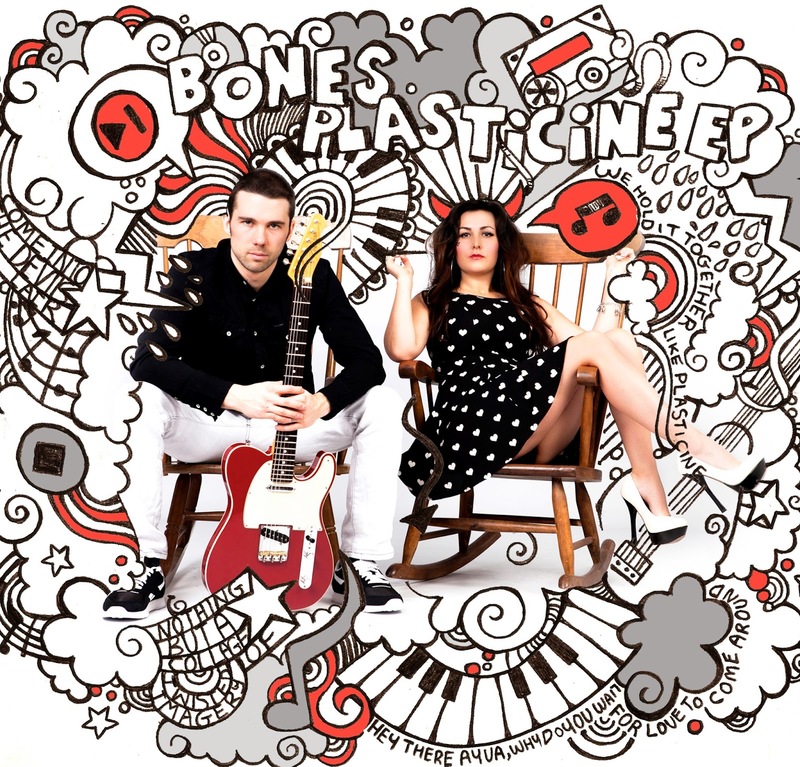 : Bones - Plasticine EP Review. 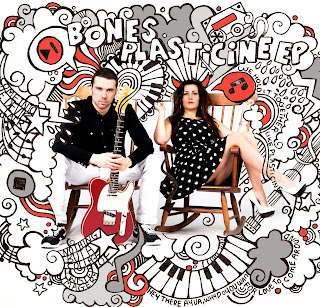 Bones - Plasticine EP Review. Image credits to WamBam Photography. Artwork by Yolanda Ribas. Bones are a Mancunian duo with Ben Jones and Kimberley Bo Power as the two only ingredients creating their recipe for an amazing EP named 'Plasticine' after the third track on the disk. After splitting with a childhood band, Ben spent a short time performing as solo-artist when he wrote the first song of the EP 'Everything's Alright' which he felt needed a boost of female vocals. Here is where Bones were born. Kimberley began featuring on the track at open mic nights and from that, their duo act became a full live set. Kimberley has always sang but only began to take it seriously once she and Ben joined forces. The band's name, their playful EP artwork created by Yolanda Ribas, and track titles such as 'Devil's Lair' meant I was expecting something much heavier and darker when I put their disk into my laptop. Yet welcomed by Kimberley's effortless vocals and Ben's funky acoustics I was pleasantly surprised. With attention from Terry Christian and BBC Radio Manchester, the duo are quickly on their way to success. I met Ben at Manchester Music Industry Networking event where I was handed their details and a copy of their EP. Since then I have discovered their Brought to you by Bones YouTube series which the duo have recently started where they upload an episode of behind the scenes insights into their recording sessions and live acoustic jams on snowy mountains, in British pubs and even a garage. They post an episode every two weeks so keep an eye out for that here: Bones YouTube. First track on their EP is 'Everything's Alright' where the pair show off their lyric writing skills, and rightly so. Kimberley bursts into song immediately until Ben follows with his rhythmic chords on the acoustic guitar. The two have the timings between one other's vocals and even spoken word flawlessly accurate in order to compliment one another subtly. A hip and melodic track, Bones have created an original which is like no other. Image credits to Billy Seagrave. Next up on the Plasticine EP is 'Devil's Lair' which opens with Ben's vocals this time until Kimberley dominates with 'Come on, come on, come in' to entice their listeners into the deepness of the rest of the EP to follow. This tempting track features the twosome beautifully harmonising. This is undoubtedly my favourite out of the four songs on Bones' EP. Towards the end of the track I suddenly thought, how on Earth are they sounding so good with just two people, no drums, no bass. Just raw and authentic lyrics and a natural bond between the two members which creates the delight which is Plasticine. The third track of the 'Plasticine' EP is a 3.15 minute song of the same name. Creating a beat-like rhythm with the strumming of the guitar and elongated riffs of a lower register in comparison to the first two songs of the EP. Talks of travels to Moscow and New Orleans and drunken dreams, Bones take you transatlantic to a rock and roll orientated destination and away from my poxy flat in Rusholme, Manchester. Lastly, but as the saying goes, certainly not least. The final track to Bones' EP is 'Ayva'. The shortest and softest-sounding track on the EP, 'Ayva' has a sadness yet romantic tinge to the song. 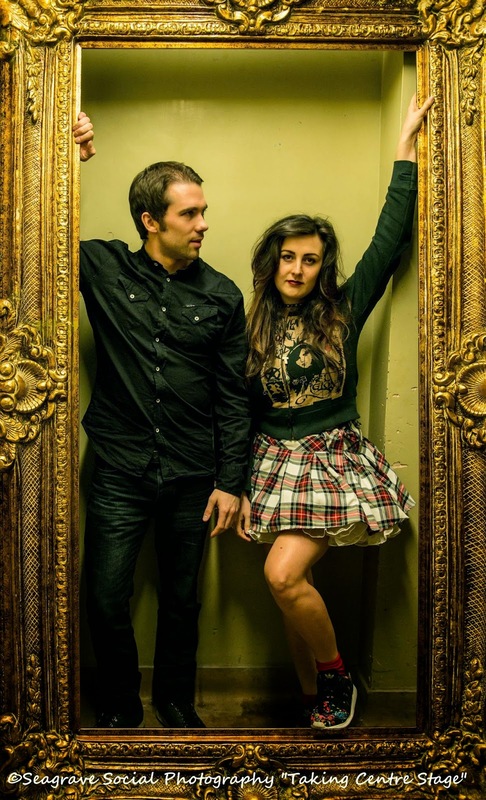 Lyrics such as 'Nothing but a collage of twisted imagery' are enough to showcase Ben & Kimberley's talents. 'Ayva' delicately marks the ending of Plasticine (before you go back to track one again because you just haven't had enough). Humming to the end of their EP, Bones truly are lyrical geniuses and have definitely gained a fan in myself.